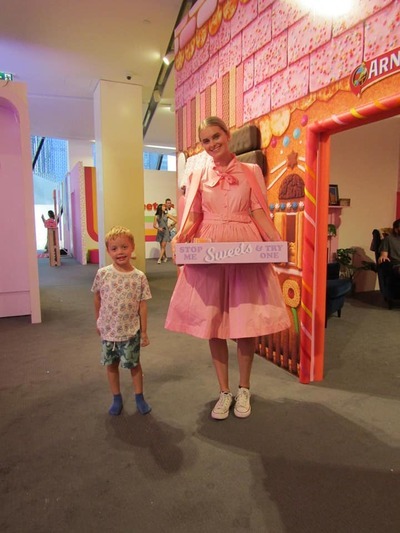 The Sugar Republic, an indoor playground/art museum of (liquorice!) all sorts has returned to Melbourne after its successful run in Fitzroy last year. 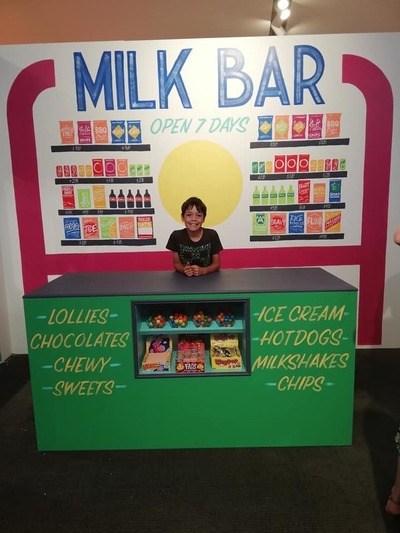 This time, the pop-up museum which celebrates desserts, cakes, lollies, chocolate, ice-cream, the much-loved milk bar and all things sweet offers new rooms and installations for sweet-loving visitors to enjoy. 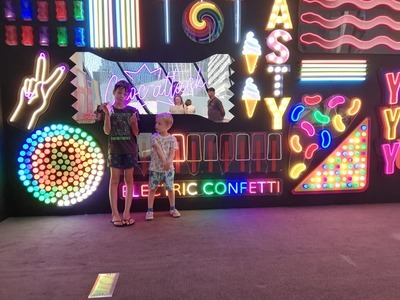 A series of 12 interactive sensory rooms open on the 6th floor of Myer Melbourne in Bourke Street on 10 February 2019. 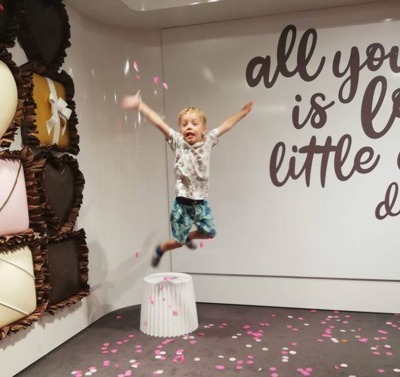 Offering "hundreds and thousands" of sugary themed play rooms for the young and the young-art heart, the Sugar Republic is an Instagrammable delight. 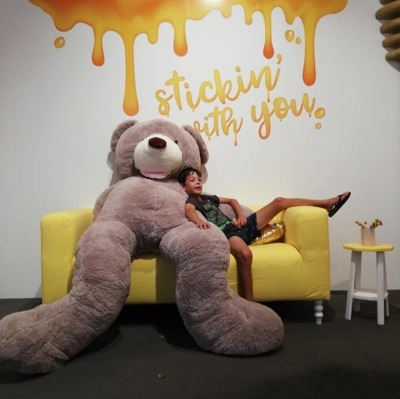 A play space filled with a rainbow of colour and oversized candy inspired art sculptures to see, touch and interact with. 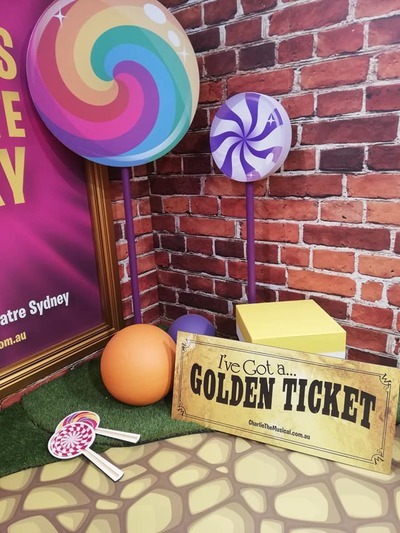 Relive your childhood as you visit a classic ‘80s Milk Bar designed in collaboration with Melbourne artist Callum Preston, sit inside a giant cookie house, play Licorice Tic Tac Toe, sink into the Big Gum Bubble, walk into a Chocolate Box, create your own Sweet Dreams and take a taste of honey in the new Honey Bear Room. 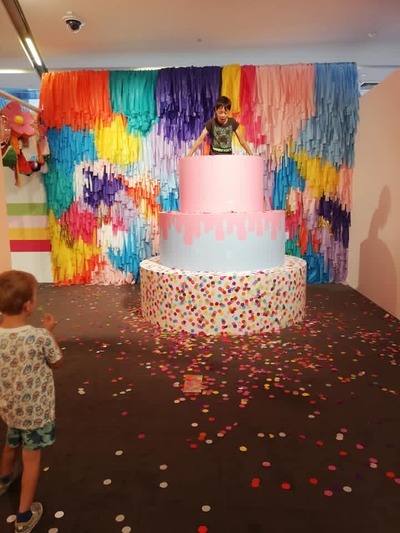 Plus all of your favourites from last year re-imagined for 2019: the massive ball pit, rainbow room, life size birthday cake, neon wall, swing room and a host of sweet delights. We spent an hour enjoying Sugar Republic with our two boys; 5 and 10yrs. 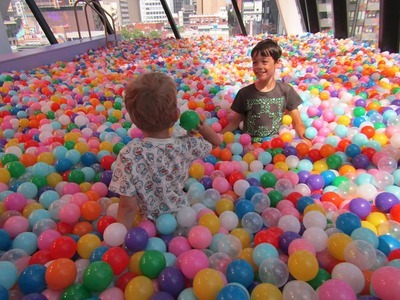 They adored the huge colourful hundreds and thousands ball pit, which really is a sight to see. The magificent views from the pit overlooking our beloved Melbourne certainly put a new spin on rooftop pooling! Sugary treats are available throughout the activity, offered to visitors in variety trays by Sugar Republic staff members. You can keep track of your child's consumption; it isn't a free-for-all. Sessions are booked in one hour time slots, on the hour from 10am to 6pm. After 6:30pm sessions are limited to over 18s. Discounts are available for group bookings of six or more. Tickets are currently available for February and March. April and May tickets will go on sale in late February. Arrive within 15 minutes of your time slot. To get to the entrance, take the elevator up to the 6th floor of Myer Melbourne. BYO socks for the activities that ask you to remove your shoes (i.e. 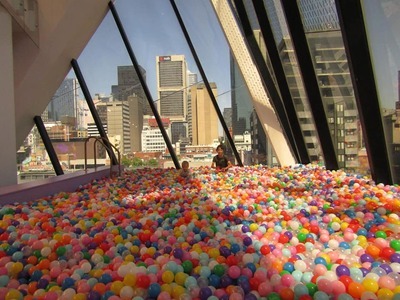 ball pit). There's a shop at the entrance selling sweet-themed goodies. 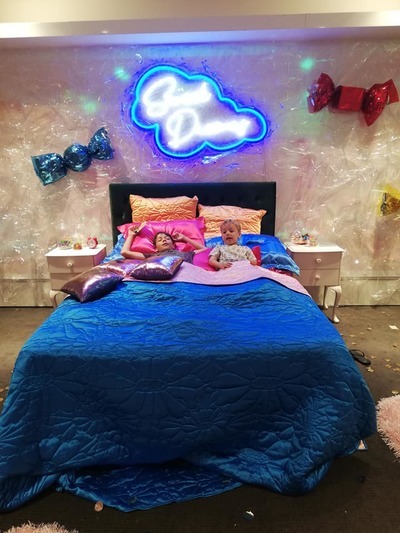 Cost: $35 - $39 Adult/$29 Children. 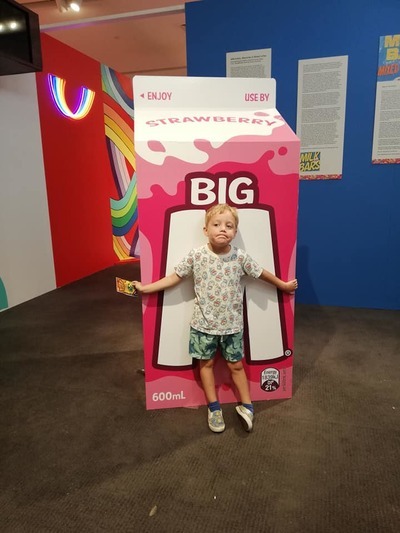 Kids aged 2 and under are free.